The BMW Group is set to revolutionize driving with the BMW Intelligent Personal Assistant. As per the company, from March 2019, BMW drivers and passengers will be joined by a digital assistant that responds to the prompt “Hey BMW”. This allows drivers to operate their car and access its functions and information simply by speaking. The personal assistant will also be able to assist the driver outside their vehicle, whether it’s at home with the help of a smart speaker or out and about via smartphone. Moreover, the range of functions and skills available will be constantly expanded as part of regular updates, which can be carried out seamlessly on a smartphone and in-car by Remote Software Upgrade. Also, the personal assistant learns routines and habits and is subsequently able to apply them in the appropriate context. One unique feature over other digital assistants is that drivers can give him a name (for example, “Charlie” or “Joy”) to lend him even greater individuality and personality. In the future, the assistant will also be able to give fuel-saving driving tips or think ahead and warn drivers as necessary. To make navigation particularly easy, drivers can give him access to their calendar and contacts, which will enable him to find parking spaces at the destination, provide information on traffic jams along the route and remind the driver when they need to set off. The Intelligent Personal Assistant will be available in a basic version with voice control in 23 languages and markets from March 2019. 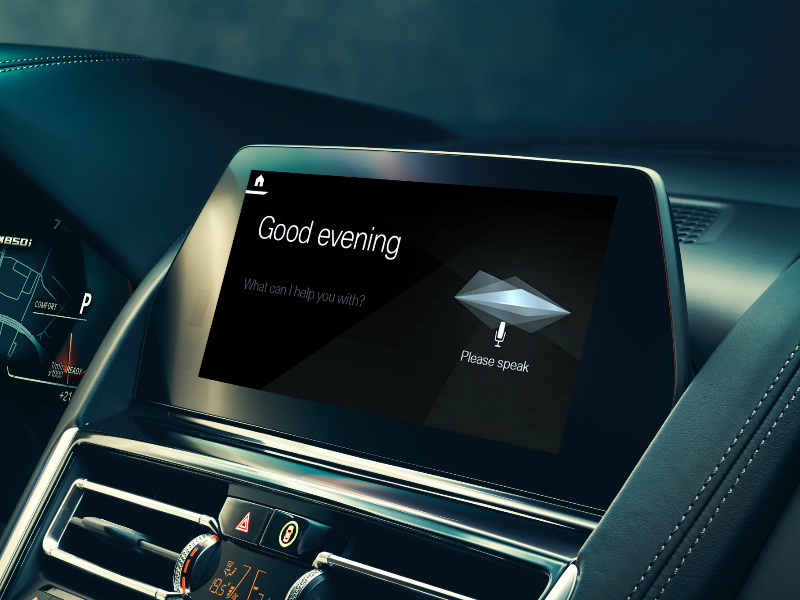 In the USA, Germany, UK, Italy, France, Spain, Switzerland, Austria, Brazil, Japan and (from May 2019) China, the BMW Intelligent Personal Assistant will also feature more natural voice control along with further intelligent functions. The personal assistant will be available to order for the new BMW 3 Series from November 2018 and will be included for three years. From March 2019, new BMW X5, Z4 and 8 Series models fitted with the BMW Operating System 7.0 will be able to install the full version of the BMW Intelligent Personal Assistant by Remote Software Upgrade.